Charlie is growing up before our very eyes and we want to freeze him exactly how he is right now (minus the recent bought of sleepless nights and skipped naps). It has been a while since I've written down all that he is doing and it had also been a while since I unloaded pictures from my camera. So here are some cute little peaks of him playing in blankets and laying on pillows - his favorite thing! Is putting words together, such as “Mommy’s shoes," “Daddy’s coffee,” "Found it!," and "Where are you?" Often asks for his Grammie and Pop Pop and his Nona and Papa. He’ll say their names and then ask to “see them?” Breaks my heart! In early October, Charlie and I tagged along with Michael on a work trip to NYC. My friend Courtney met up with us there to hang out with Charlie and me. She took some pictures of us during a couple different walks through Central Park, which was a real blessing since we don't often get many pictures together. It was Charlie's first time riding a carousel. He wanted to go on it again so badly. I did, too. Don't his jeans make him look so grown up? These pictures of him in the swing are some of my favorites I've taken in a long time. Charlie has been consistently sleeping through the night for about one week now (cue the hallelujah chorus). He falls asleep around 7:30 p.m. and wakes up for the day between 6:45 and 7:30 a.m. I have nothing to attribute this to; all I can say is that it's an answer to prayer. While caring for a newborn, it is expected that mothers will be up during the night at least a couple of times. But Charlie's night-wakings carried on and on, no matter what new method I tried. 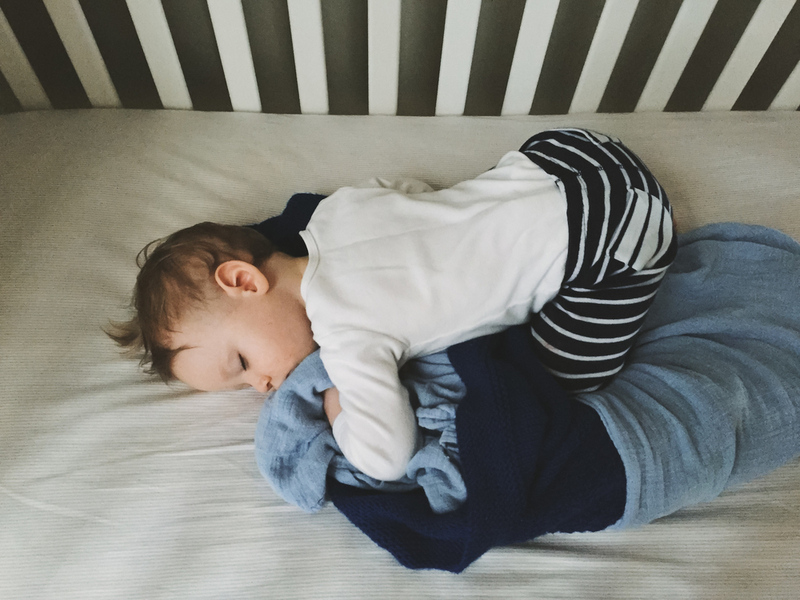 Everything I did was by the book...we have a bedtime routine for him, he falls asleep on his own, he doesn't nap too much or too little during the day, he eats a ton of food...but still, even up until two weeks ago, I was up with him in the middle of the night at least once. I never thought that I would experience that for 17 months. There was a point, I think around 4 months ago, where I just let go. I stopped trying to fix it and stopped thinking "maybe tonight he'll sleep through!" But the day has finally come! Or perhaps I should say the night. Getting to sleep for eight straight hours feels like bliss! Pure bliss. A big thank you to my husband for never telling me I look tired, for bearing with my sleep-deprived crankiness, and for praying constantly that our child would finally sleep all night.